Reiki is an umbrella term for energetic healing which can be practiced as either hands-on or hands-off healing. Its origins date back many thousands of years to the Far East, before Christ and Buddha. The original technique and practice were lost through time as they were never physically recorded. Dr. Mikao Usui, a Japanese Scholar and monk, rediscovered the essence and named it Reiki. The Usui Shiki Ryoho method is the Traditional form, rediscovered by Usui, however, there are many other forms of Reiki. Karuna Reiki was brought through by Reiki teacher/Master William Lee Rand. William has been a pioneer for Reiki. Reiki is Holistic and works on the entire Being ~body~mind~ and spirit. It stimulates a person’s own innate healing energy. There are over 50 trillion cells in the human body. Each cell contains omniscient wisdom and is connected to the Universe and every living thing in it. Reiki is a part of our energetic structure. its an intrinsic intelligence that energizes growth and health in all aspects of living. Reiki is Pure Unconditional Love. The simple skills and techniques are easy for anyone to learn. Shakti Ma is Attuned to Master Level in both Karuna and Usui Reiki. While Diane Steinn is also prominent influence for Shakti Ma, as her Reiki workbooks have traveled the world with her. 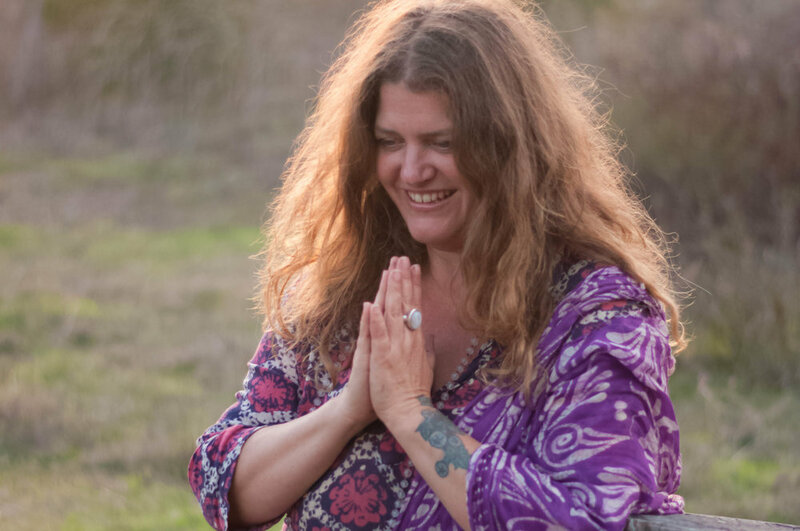 While on a personal healing journey to India in 2000, Shakti Ma and her spirit sister, Rebecca Soleyn journeyed through the Ghats to amazing temples is and Ashrams of great Gurus throughout South India. While in Bangalore, where Ma was close to her Swami (Satchya Sai Baba), she underwent a Reiki Intensive with her great Master, Divya. Shakti Ma received her Masters Attunment in Usui and Karuna Reiki in India with Mrs. Divya Yeshiva Murthy, Traditional Master Teacher at Shree Vishwachethana Sevashrama Trust. She was also attuned upon her return to the states by Susan Grasso, Director of Alternative Support at The Connecticut Hospice, INC in Branford CT.